It’s been another snowy and cold week up here in the Keweenaw. We have picked up 27″ of new snow since last Sunday and much of the week was spent with temps in the single digits. I can’t really complain too much about the cold, because we have been much warmer than many locales at our same latitude and even warmer than some areas well to our south at times. I am certainly not going to complain about the snow either! 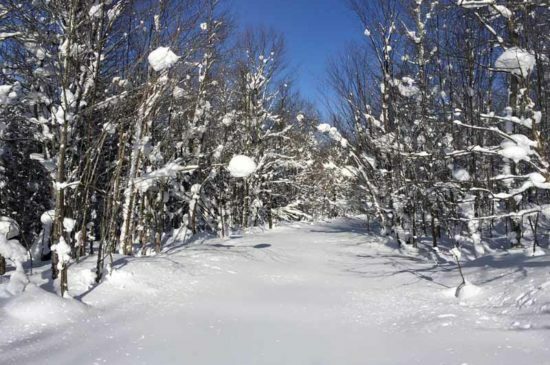 It has been the wonderful lake effect variety and has come mainly in doses of 3-5″ every 24 hours. That is a whole lot more manageable than getting clobbered in one storm and then being quiet. For some reason, the cold this winter is not bothering me all that much. Not that I am enjoying temps in the single digits, but it does not sting like it has in the past. Ever since my open heart surgeries, I really was much more impacted by the cold. I realized it had to come along with the snow, so I did not complain much, but really got chilled quickly. Not sure why this winter is any different than the past few, but it is nice to have my tolerance for the cold back. Temps look to be significantly warmer this week, even flirting with the freezing mark Tuesday and Wednesday. It will be interesting to see how those temps feel after such a long run of being so cold. I know most locals will be welcoming them. I have not run into too many folks complaining about the snow…yet! but the cold has been a topic of discussion and some discontent. I am not worried about 2 days of temps at or even a bit above freezing, but last years 10 day thaw at the end of January and again at the end of February is still very clear in my mind. So I am really hoping we can keep the wheels on this winter and not do a repeat performance. I will say that the forecast looks quite encouraging. There is the potential for a pretty big winter storm to hit us and much of the Northwoods later this week and then seasonable cold, with the potential for some more system and lake effect snows beyond that into the 3rd week of January. The warmer temps will also halt the formation of ice on the big lake. Not that there is enough on it right now to cause any reduction in lake effect snow and also its ability to modify the arctic air. The latest satellite imagery shows only some shore ice in place. However, had we kept up the bitterly cold air for another week, that situation could have been changed dramatically. I am really hoping for other areas of the Northwoods of the Midwest to get hit by this potential winter storm at the end of the week. It would be enough to allow for some very good snow play in areas like northern WI and the southern UP. The snows, cold and wind have created some beautiful scenery up here. Last entry I talked about how much different things looked up here in the lake snow belts than other places in the northern Midwest that had a fairly decent snowpack and that has only been added to this past week. The road crews have been working like crazy to not only keep the areas where we drive on clear, but have been cutting back the banks to make room for more snow to be plowed and also removing the 8-12 foot banks from the corners, so it is easier to pull out into traffic. My own snow removal has been a bit more of a challenge. Early in the week, I had one of the sheer pins for the primary augers snap. That is usually not a very big deal, but this time around, the one end of the bolt decided to get bent over and stuck inside the shaft for the auger. I tried many things, including trying to drill out the bolt, but nothing worked. I was able to keep clearing with just the one side working, but it took quite a bit longer. I am having the tractor and blower picked up tomorrow to be fixed and the timing could not be much better, as it looks like we will be snow free until at least midday Thursday. 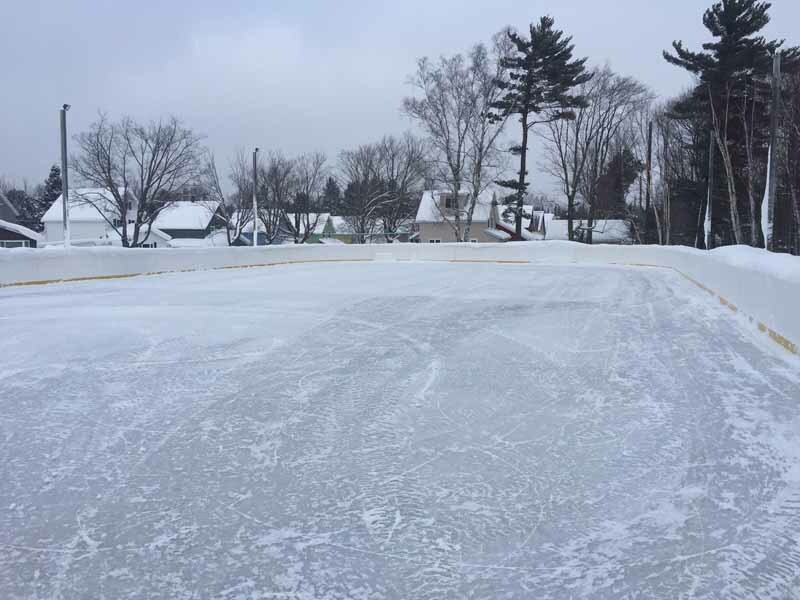 One of the biggest snow removal jobs this week was the clearing of the ice rink. It had not been done since the week before Christmas. Some folks did clear off a small patch to skate on, but in other areas, the snow was 18-24 inches deep! It took me 2 1/2 hours to clear it, but when I was done, it felt good to have been able to open it back up. The regular schedule for open skate was suppose to start this weekend and it would have been a pretty big job to clear it with the walk behinds they have. 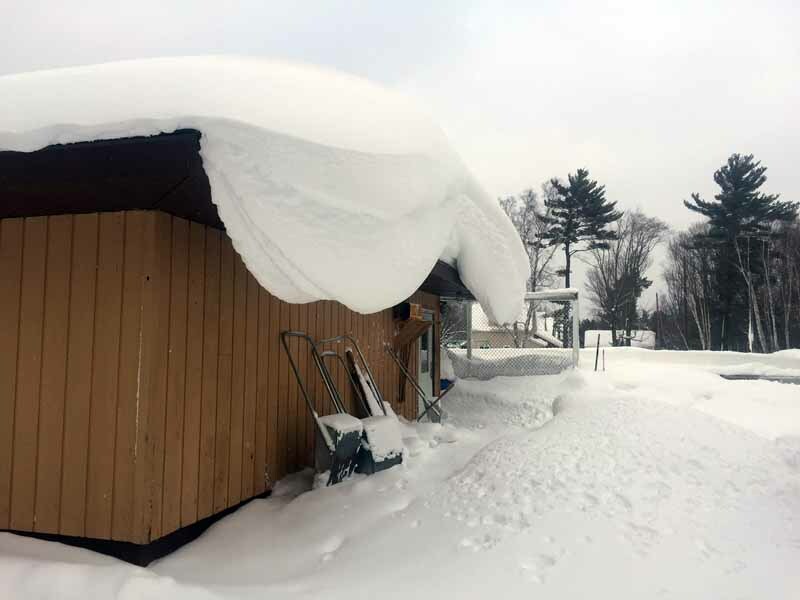 As I was leaving to head home, I could not help but to stop and take a picture of one of the drifts hanging from the roof of the warming hut. 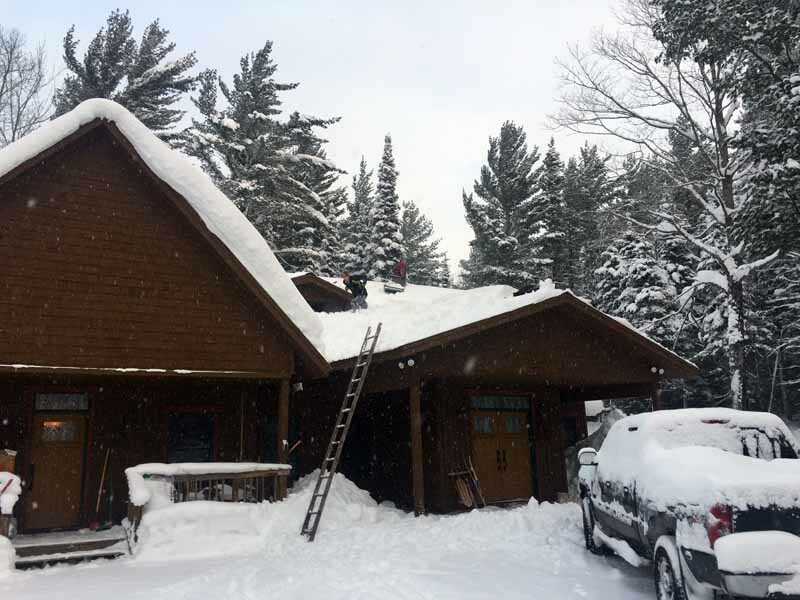 Our roofs had their own fair share of snow on and hanging from them, so it was time to call over some local boys to clear them off. They arrived on Saturday at around 9 AM and were nearing completion when I left around 11 am. As I watched them clear the 3-4 feet of snow on the roofs, I was thankful that it was not me up there trying to do it, but also felt old. It was not too long ago that I was clearing the roofs myself, but for better or worse, those days are gone now. 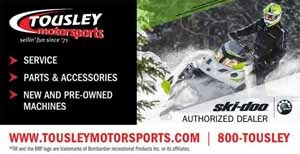 I did finally get out on my first snowmobile ride of the season Saturday. It only took for us to reach the 150″ mark to do so! All joking aside, it seems like life is much more full of other things that keep me from riding, primarily my family. This is not a complaint by any means. I still have the go-ahead from Nora to ride pretty much when ever I want, but really do not want to miss the activities Gracie is involved in. I suspect that in not too long, Grace will be at that age where independence is more important than me being there for everything and the riding will increase again. In any case, it was about as perfect a day for riding as one could ask for. 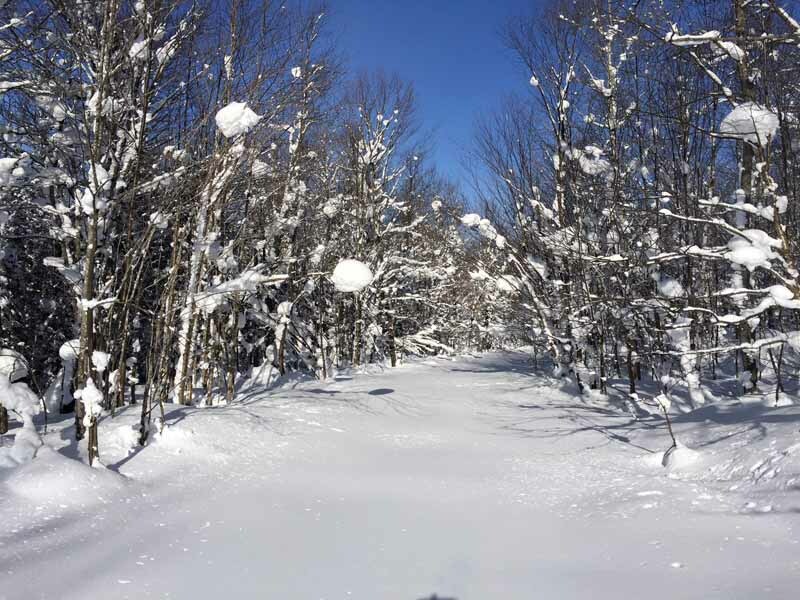 The snows were deep and fresh and the skies even cleared to give us beautiful sunshine to ride in. It was two of us, my buddy Skylar and I, but sometimes a smaller group like that is better. At my request, we did not do anything too crazy, so the stuck were pretty minimal, but I still managed a few! 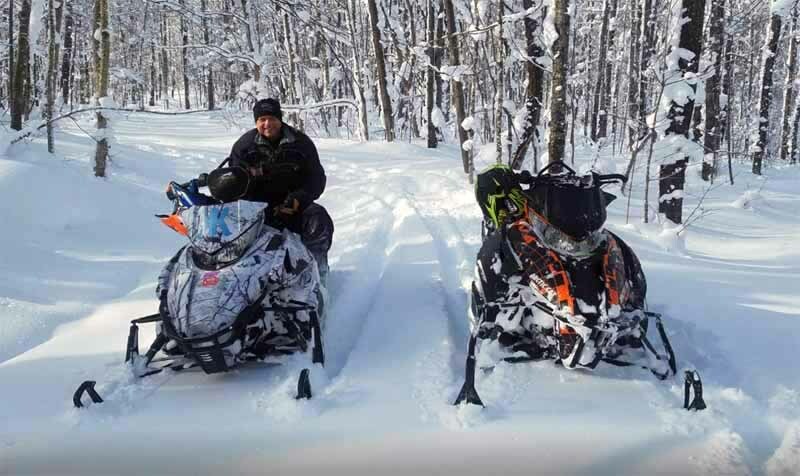 It was really nice to be back out on the sled and enjoying the fresh snows of the Keweenaw. Almost all of the snow we have picked up in the past 2 weeks has been lake effect and most of that has come from winds out of the same direction. 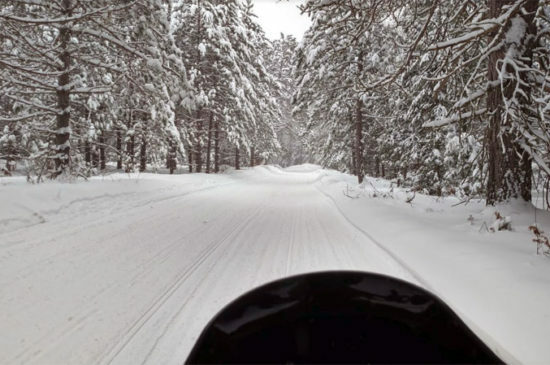 At one point in our ride we came across a section of forest where all the NW facing sides of the trees were caked in snow, while the other sides were bare. 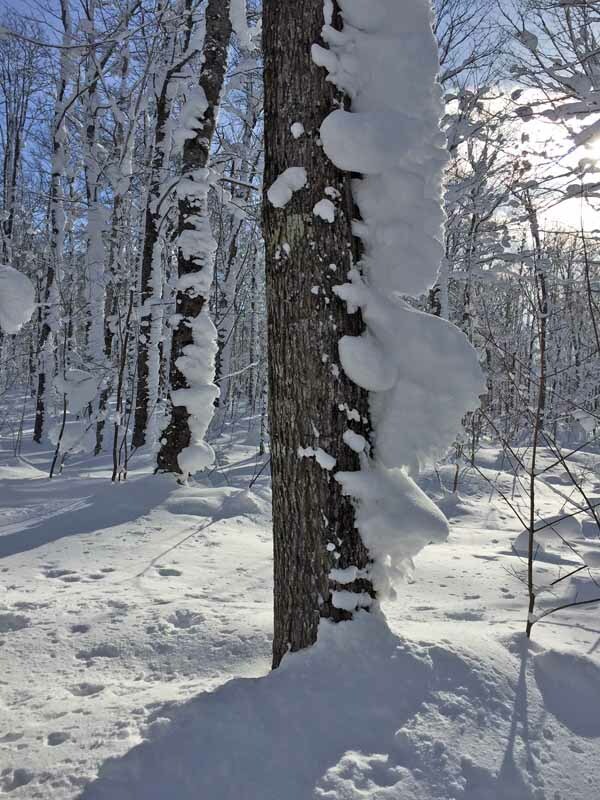 You know you have been getting a lot of snow when it actually accumulates a foot deep on the sides of the trees, just by clinging to the bark! So I guess that about covers it for this one. Planning on doing some more riding with friends next weekend, so should have some more pics and stories to tell!